When you are looking for stylish shoes Giovanni is the brand you want to go with. 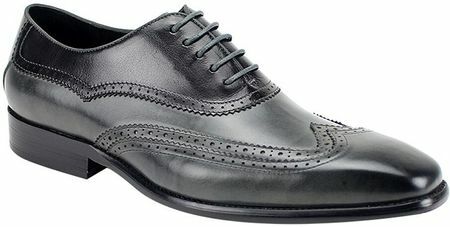 These black and grey wingtip dress shoes will add flair to all of your outfits. Wear them with a nice suit or jeans and a fashion blazer and you are all set for an evening out. Made of fine quality leather.